This mod register the range harvest effect to vanilla dispenser block and shears. 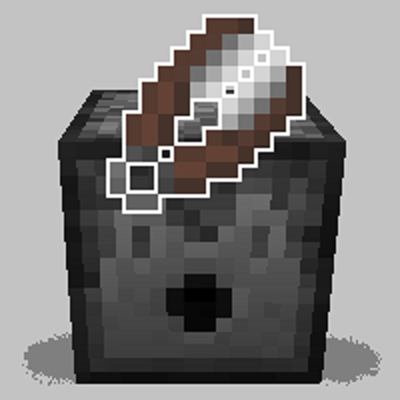 Harvest items are inserted into the adjacent inventory or dropped in front of the dispenser block. This mod looks really useful! However, I'm encountering some issues, particularly when used alongside VanillaAutomation. It adds a feature that allows dispensers to shear sheep, which I believe has been overriding this mod's dispenser functionality? When I try to harvest crops with the dispenser and shears, it doesn't do anything. I've narrowed it down to only these two mods together. Earlier I tried adding more shears (from Corosus's Vanilla+ Tools mod, specifically), but they only got ejected as items, so this was not a fix, unfortunately. I only tried this in an environment with both mods, though - didn't remember to try that with only your mod. I don't know if it's another issue with a different mod, or if the shear-defining config is having issues, or if maybe it's just because Vanilla+ Tools uses such weird item IDs. Is it possible to fix this conflict from your end? This mod seems very handy but I don't want to have to give up VanillaAutomation entirely just to be able to use this. Thanks! You can increase the applicable items of this mod by config file (shears_item.json). Check the config file. However, it currently does not have the ability to exclude items. With the next update, you can exclude vanilla scissors with the config file. Probably, it will resolve conflicts in the dispenser function. Unfortunately, the dispenser can only give one function for one item. This is a constraint of the vanilla system and probably can not be solved (unless Mojan reworks).